The story is an increasingly familiar one. From Singapore to Spain, Germany to Ghana, Malaysia to Morocco, whenever a ride-hailing company like Uber moves into a country, the local taxi operators react with fury. Their fear is that this new competitor will undermine their business and steal their customers; and, given the ease of booking a ride on your smartphone, and the lower rates charged by services like Uber, this is not an unreasonable concern. Such tensions have sparked protests in cities all over the world, even culminating in acts of violence against Uber drivers (and those of its rivals, such as Grab and Lyft). Taxis in Brunei cater to a very specific demographic. They provide transport mainly to tourists and foreign businessmen, which is why they are most often found waiting outside the airport, or by hotels. Locals and permanent residents of the country almost never use their services because, quite frankly, they find the prices too expensive. Given the low cost of petrol here, and how cheap it can be to buy and maintain a car, it makes more sense, financially speaking, to drive yourself. Indeed, for most Bruneians, taxis do not exist even as a last resort; it simply would not occur to us to use a taxi. What you may not realize is that we have a very strong ride-sharing culture here, and if you do not have access to a car, you ask a friend or family member for a lift. However In those unfortunate situations where no one can pick you up, you usually accept that you are stranded. Even though they do exist, if it were not for the Dart taxi booking App I’d safely assume that you, reader, do not have a single taxi’s number on your phone, nor have you used one for any reason in the past year. By this criterion, they can hardly be called a public transportation service. After the launch of Dart Taxi in May 2017, the single most common piece of feedback we received was that the prices were 'too expensive' – in most cases, far too expensive - this is of course due to the expectations from the Local public wanting an uber like service. This is the market gap that Dart seeks to fill. Our goal is to create a cheap and reliable form of transport for the Bruneian public. Something that ordinary people could use on a daily basis. This means, however, that we cannot charge the same rates as the taxis. Plenty of locals were supportive of the idea of a ride-booking service, but only if it were significantly cheaper. These people constitute a brand-new market: one that is not currently being serviced by the taxis. This is the market that we are interested in appealing to, by offering rides at prices that people are actually willing to pay (via a private-hire car service called Dart Car). It is therefore inaccurate to say that Dart is in competition with the taxis at all. If anything, our service threatens to legitimize the ‘unofficial’ taxi operators – the infamous ‘taxi sapu’ – who give lifts at discount prices, but are unregulated, uninsured and often unsafe. However, the main reason why taxis have nothing to fear from Dart is that we would like to work with them as much as possible. Rather than shutting them out of this new market, we want to give them full access. Most of the taxi drivers in Brunei are experienced professionals who are dedicated to their jobs – exactly the sort of people we want driving with Dart. They already have all the necessary experience required to transport passengers commercially; they would only need to attend a short course on how to use the Dart App in order to become fully qualified. These drivers would benefit also to be the only ones allowed to perform both DartTaxi and DartCar jobs, increasing their pool of jobs exponentially! If taxis choose not to participate, they lose nothing – they can continue to perform taxi jobs at taxi rates. But if they decide to partner with Dart, they could potentially see a vast increase in their earnings. Rather than treating this as a competition between Dart and the taxi community, it would be more productive to view the situation as an opportunity where everyone has a chance to benefit. If the taxis wish to remain separate and not work with Dart, they are perfectly entitled to do so. They can continue to serve a niche market of foreign tourists and businessmen and earn the same income that they always have. But Dart is offering them the chance to broaden their horizons and service an entirely new market. This could potentially bring them far greater levels of income, whilst also helping the local community, who deserve a convenient and affordable form of public transportation. They say that a rising tide lifts all boats – meaning that even small improvements in the economy will benefit everyone. That is what Dart is aiming to do, by opening up new markets and providing jobs to people who are willing to work for them. We are not a threat to the taxis; far from it! All we ask is that we try things the Dart way, and let’s see whether we can improve living standards for everyone in Brunei. We would love to hear from you! Click here to leave your comment on our facebook page. Dart Logistics Sdn Bhd wishes you a happy and blessed Hari Raya to your family and loved ones. Don't worry about no parking or being tired, leave the driving to us! We are more than happy to Dart your way to your destination. 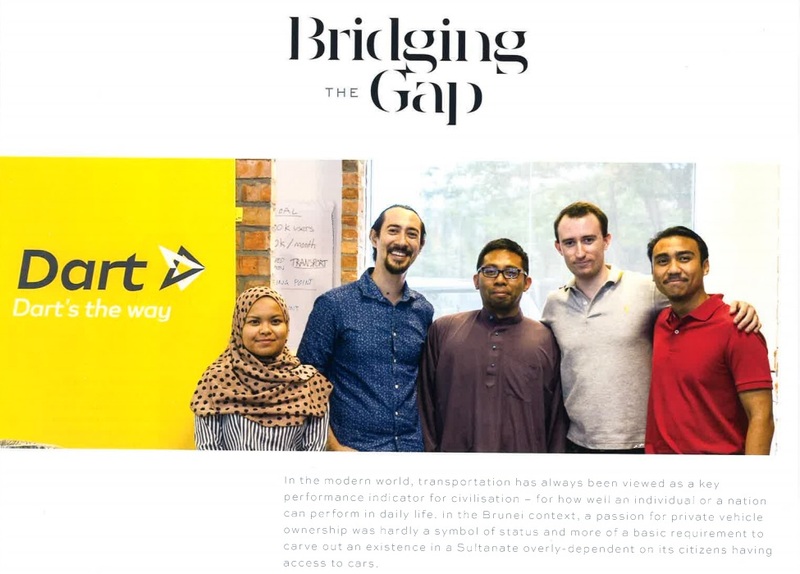 Brunei Darussalam, 10th June 2017 - Dart Logistics Sdn Bhd has released that there has been close to 7000 downloads of the Dart App after one month of operation, with almost 100 completed rides to date and more than 300 registered interest to be a Dart Car driver. The statistics released by founder & CEO of Dart, Zul 'Amali bin DP H Idris, shows how the market is responding on a good note to the transportation network industry. Dart also announced to the customers and the public as they are not limited to only booking for taxi services but aim to provide further range of services such as Dart Car, Courier services and ticketing with more planned in the near future. 'Dart is going to widen the scope of services and I hope that this informs minds of the public that we are not limited to doing taxi - booking services alone but aim to solve transport needs.' Zul'Amali added. 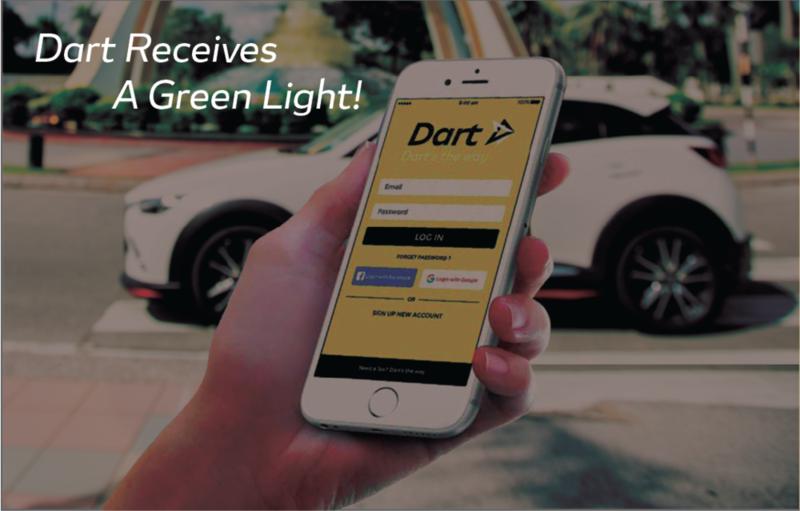 With the ambition to reduce unemployment, The Dart Car service will be provided with partnered private drivers. Potential drivers will need to be screened and qualify before going through the co-developed LTD - Dart driver training program to be a licensed Dart driver. Those who are interested to be a Dart Car Driver can register interest via the Dart website at www.dartbrunei.com. The public are able to download the App via App Store for iOS users and via Google Play for Android users.